Kamala Harris (pictured at left), then serving as California Attorney General, addresses graduates of the UC Berkeley School of Law on May 11, 2012. This week, U.S. Attorney General Jeff Sessions testified in front of the Senate Intelligence Committee hearing on Russia and possible ties to the presidential campaign of Donald Trump. Some of the more memorable exchanges came between Sessions and Sen. Kamala Harris of California. I won’t go into the merits of the back-and-forth between the two. But the merits of the some of the responses on social media showed a lack of appreciation for what some very famous attorneys have gone through to practice their craft. A number of users on social media have pointed out that Harris failed the California bar exam on her first try. If U.S. Senator Kamala Harris, former Dean of Stanford Law School Kathleen Sullivan, and two California Governors Jerry Brown and Pete Wilson could not pass on their first try but were widely successful as California’s attorney general, a top law school dean, and governors of our great state, what does that say of the bar? Let’s ask that question again: What, exactly, does that say? Hillary Clinton, also a former Senator, first lady, and presidential candidate (and only slightly connected with the topic of the recent Senate hearings), failed to pass the District of Columbia bar exam in 1973, the same year she passed the bar in Arkansas. First Lady Michelle Obama failed the Illinois exam. President Franklin D. Roosevelt failed the New York bar, passed it in 1907, and then dropped out of Columbia Law School (though he was posthumously given a J.D.). There’s an urban legend out there that U.S. Supreme Court Justice Benjamin Cardozo failed five times and passed on the sixth – though we might have to alert Snopes on this one. Western Michigan University Cooley Law School Distinguished Professor Emeritus Otto Stockmeyer has been dedicated in correcting that narrative, as is evidenced by his comments on separate posts that are seven years apart. (Update: Otto was 100 percent right. But it was a law librarian, not Snopes we needed to talk to.) But what is true is that Cardozo preceded Roosevelt in dropping out of Columbia Law (an unwitting participant in the James Comey portion of recent hearings). John F. Kennedy Jr. failed twice in New York before passing. Pat Robertson also failed in New York, and then became a mogul in Christian broadcasting and ran for president. Notable mayors of the USA’s three largest cities – New York’s Ed Koch, Chicago’s Richard M. Daley, and Los Angeles’ Antonio Villaraigosa – all failed; Koch and Daley eventually passed. Former governors Charlie Crist of Florida (also that state’s one-time attorney general) and Deval Patrick of Massachusetts missed the mark too. Update to the list: Anthony Scaramucci, the new White House Director of Communications, failed the bar exam twice after graduating from Harvard Law. There are others out there, including New York Governor David Paterson, the first blind governor of a U.S. state, who was unable to complete the New York bar exam due to a lack of accommodations for his lack of sight. What you learn from this list is three things: First, if you’re going to succeed in life, fail the New York bar exam at least once. Second, don’t try to sneak that weak Cardozo story past Otto Stockmeyer. And lastly – passing the bar exam is an act of dedication because it is incredibly difficult to pass. Looking at the National Conference of Bar Examiners statistics for the 2016 year, bar passage rates are down for both first-time takers – who historically fare better than repeat testers after a regimen of study that can last half a year – as well as the overall test-taking group. A pattern emerges of a first-timer score that is 10 to 13 percentage points higher than the overall group. Test takers from non-ABA-approved schools scored at a 19 percent rate. 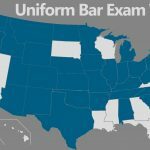 For repeat bar exam takers for 2016, the pass rate was 33 percent (38 percent for those from ABA-approved schools). So if you’re trying to pass on your second time in any given year, there’s a 1 in 3 chance you won’t. Now, let’s take a closer look at bar exam stats from Sen. Harris’ time frame. The California Bar Exam, much like its New York counterpart, is notoriously difficult (don’t yell at me, I know it’s an understatement). According to Above the Law, the California exam’s 2016 pass rate of 43 percent was the lowest it has been since 1984, when it was 41.8 percent. First-timers scored at 56 percent. The gap for 1990 between first-timers’ success rate and the overall rate jumped up to 15.4 percent. The overall pass rate dropped 1.5 percent. Harris and her fellow repeaters were far less likely to have passed that year. The repeater rate in 1990 means that about 4 out of 5 of Harris’ fellow repeaters failed. That’s intimidating. But Harris’ passing score means you can beat the odds when you re-take the bar exam. Missing out on a passing score is painful, but it is not a permanent barrier to becoming a lawyer. 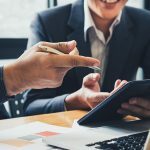 Instead of “could not pass on their first” exam – which implies some level of failure – why not accentuate the positive and say someone “passed the bar on their second try”? Or third? Or fourth? The amazing thing about the social media nitpicking of Harris here is that it’s only become a “fun fact” since the election – there are only three tweets referencing her failed first attempt at the bar exam before the November 2016 election, yet dozens since then. It wasn’t even bandied about via the low bar of election-season sound bite that sounds good at first glance, but doesn’t tell the whole story. 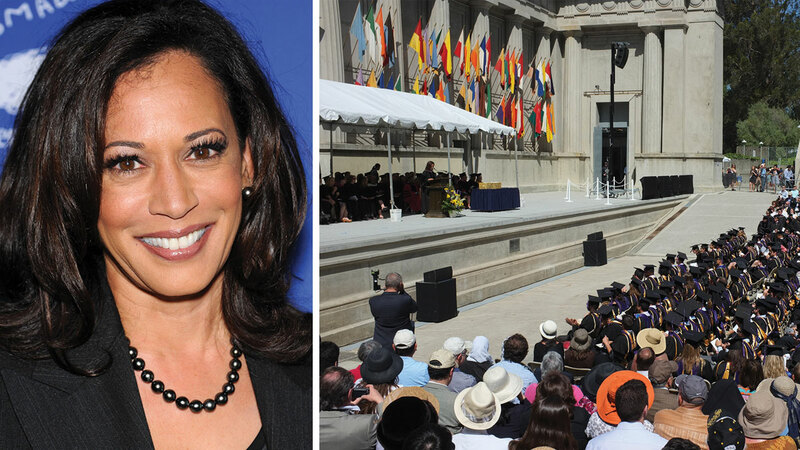 Harris has gone on to be elected and re-elected as San Francisco District Attorney and Attorney General of California to now serving as the first Indian-American senator, the first black senator from California, and just the second black woman to serve in the Senate. If you’re retaking it this summer, don’t let the odds get you down. You can totally do this. Think about all this next time someone snarks about one whiff on one of the hardest tests known to higher ed. Because a lot of law students will be more than willing to take their shot at success if that’s what can happen after you fail the bar exam. In response, Christine Anne George, faculty and scholarly services librarian at the Dr. Lillian & Dr. Rebecca Chutick Law Library at Cardozo, went – and we quote – “full on librarian on this question.” And it turns out that the story about Cardozo’s bar exam failures is complete urban legend. So let’s lay this rumor to rest and remember to always, always, always cite sources, no matter what the medium. Adam Music Adam Music is the web editor of Before the Blog. 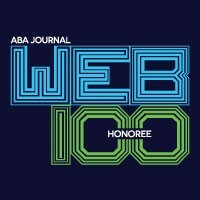 After 20-plus years in the online side of print journalism, he joined the ABA in July 2015. His experience includes stints at the Chicago Sun-Times, RogerEbert.com, the Pittsburgh Tribune-Review and the Chicago Daily Law Bulletin.